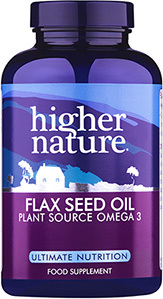 Get a healthy dose of essential omega oils into your system with Flax Seed Oil Capsules. 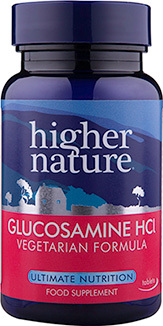 This effective alternative to fish oil is an excellent source of omegas 3, 6 and 9, which are not only essential for overall health, but contain anti-inflammatory molecules that help fight infection and disease, whilst also nourishing the brain, eyes and nerve cells. 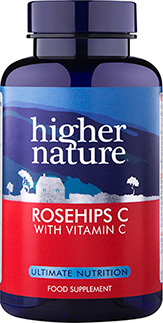 Also available as Organic Flax Seed Oil. Take 1-3 capsules 3 times a day, or as your health professional advises. Do not exceed recommended daily intake. Food supplements should not be used as a substitute for a varied and balanced diet and healthy lifestyle. My brother and I'd had the same food in a restaurant abroad and we both got tummy trouble afterwards. My poor brother's diarrhea wouldn't go away and lasted almost 2 weeks. While I had one single evacuation a couple of hours later. My problem ended there and then and I was perfectly fine after that. What accounted for the massive difference in our reaction to the food poisoning was the flax seed oil capsules. I've been taking two everyday for years to protect my guts. And now I have solid proof of its value. Amazing oil especially useful for travelling where Delhi belly is a hazard! I started taking Flax Seed Oil Caps 1000mg approximately 6 months ago and it has dramatically changed the appearance of my skin. I have rosacea and my face constantly had spots, was red and hot. I tried many skin creams for sensitive skin (some expensive and some not) and finally started using the flax seed oils caps. I no longer have any spots at all and the redness in my cheeks has reduced significantly. I highly recommend anyone bothered with rosacea to try flax seed oil as it has changed my life. Give it a few months to start working. Good luck!